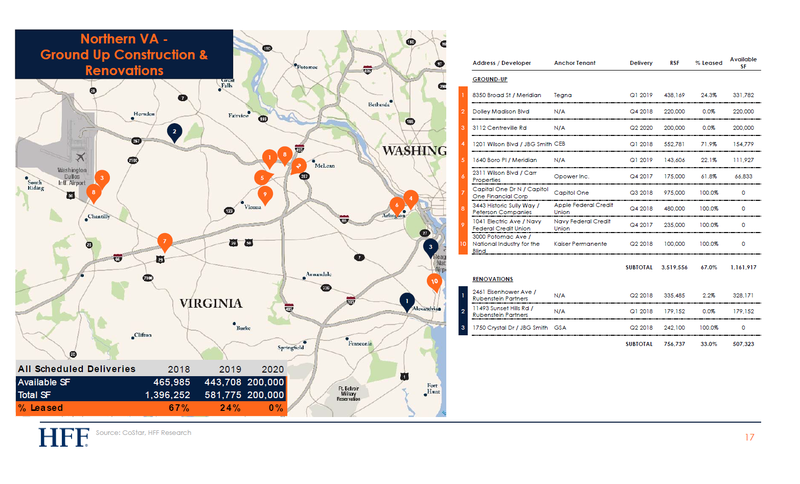 In February 2018, real estate brokerage HFF released an analysis of the Washington D.C. area’s office market. 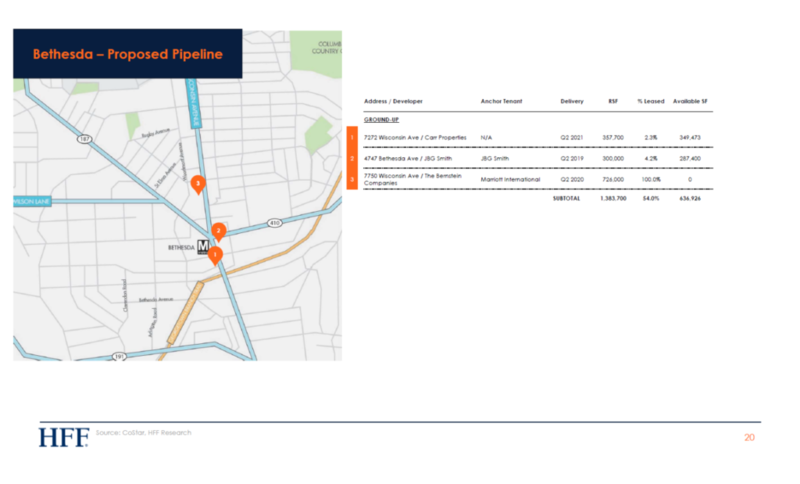 The analysis revealed that Montgomery County’s office building sales and construction are minuscule compared to the District of Columbia and Northern Virginia. 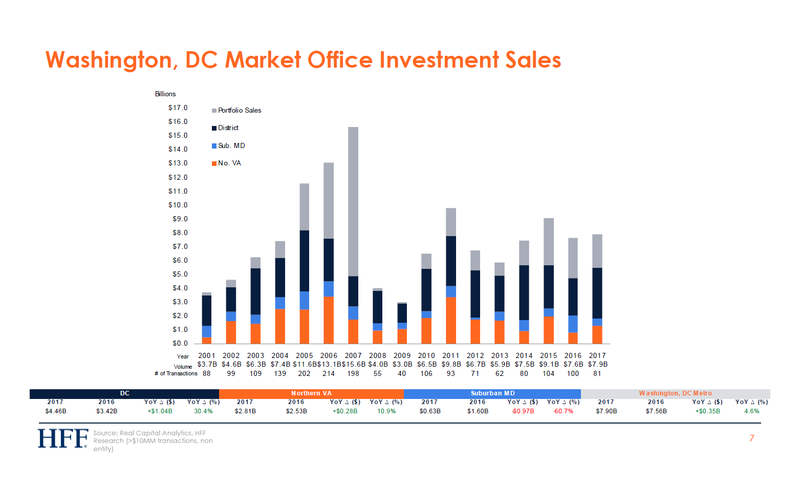 In 2017, office investment sales totaled $4.46 billion in D.C., $2.81 billion in Northern Virginia and $630 million in Suburban Maryland, which includes Montgomery and Prince George’s Counties. That means 56% of the region’s sales were in D.C., 36% were in Virginia and 8% were in Maryland. In 2016, office investment sales were $3.42 billion in D.C. (45%), $2.53 billion in Virginia (34%) and $1.6 billion in Maryland (21%). 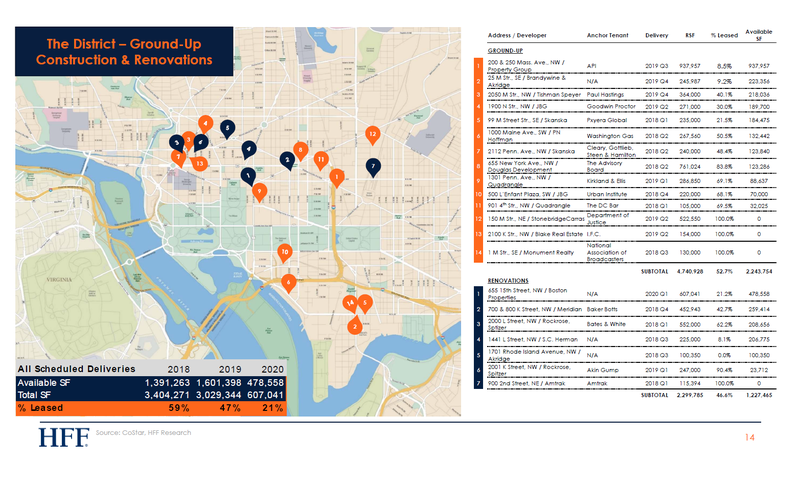 HFF lists 14 upcoming office projects and 7 office renovation projects totaling 7 million square feet in D.C.
HFF lists 10 upcoming office projects and 3 office renovation projects totaling 4.3 million square feet in Northern Virginia. And in Montgomery County, HFF lists 3 upcoming office projects totaling 1.4 million square feet. All of them are located in Bethesda. There are two ways to pay for government: increase the tax base or raise taxes. Montgomery County has seen weak employment growth, stagnant real incomes and falling tax revenue growth in recent years. When the county has a dead commercial office market, a huge majority of the tax burden falls on homeowners. Residents will pay the price the next time the county imposes a major tax increase.